Low Volume from ear speaker, can't hear a voice over call or crackling sound from Speaker, get it all done in not time. We have our repair chain in Powai - Mumbai, Goregaon - Mumbai, Naupada - Thane West & Sanpada - Navi Mumbai. Fill out Inquiry form or give us a direct call for urgent Inquiries. Having trouble to listen the Caller voice over call in traffic horns? or missing that one favorite song on loud speaker when no one is home because your iPhone XS speaker is crackling? Not to worry! We offer loudspeaker repair service, so you can get back to blasting music or talking on speaker phone again as fast as possible! 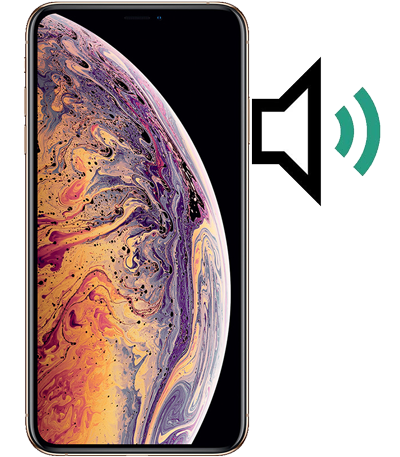 replace iPhone XS bad speakers. can't hear a voice over call in iPhone XS. iphone xs ear piece speaker voice is low.